Kermit the Frog is moving to the pond where Charlie Chaplin once worked and played. The purchase of the historic Charlie Chaplin Studios by the five children of the late Jim Henson was announced today by the Henson family - Brian, Lisa, Cheryl, John and Heather. The five-acre property will be leased to The Jim Henson Company under a ten-year lease agreement. The entire Los Angeles based headquarters will move from its current residence at Raleigh Studios to the new location in mid-April. The history of two of Hollywood's creative geniuses, Charlie Chaplin and Jim Henson, will reside together as The Jim Henson Company makes its permanent home at 1416 N. La Brea Avenue. Lisa Henson is working closely with The Jim Henson Company's film division, Jim Henson Pictures. Cheryl Henson is a Vice President with the Company serving as the liaison to "Sesame Street'' producer Children's Television Workshop. She also runs the Jim Henson Foundation, the family's philanthropic arm, and spearheads the biannual Festival of Puppetry in New York. John Henson, an artist, works occasionally as a performer and puppeteer with the Company, as does Heather Henson, a recent college graduate, who also is pursuing a career in theater and performance art. The visionary eras of Charlie Chaplin and Jim Henson will blend as the Muppets take up residence. Plans for major renovation and substantial improvements of the 80,000 sq. ft. facility, which includes the former A&M Recording Studio and Chaplin's 10,000 sq. ft. sound stage and original woodworking shop, are underway. In addition to some under wraps surprises, the renovation includes landscaping, new brick pavers in the courtyard and a new paint palette to give the campus-like compound a more cohesive look. The screening room will undergo a "Muppetized'' revitalization and murals are planned for key locations. Working closely with the Mayor's office and the Hollywood Chamber of Commerce, the renovation will coincide with the current rejuvenation of Hollywood and will, along with the neighboring American Academy of Dramatic Arts on De Longpre Ave., make a significant step toward revitalizing this section of Hollywood. 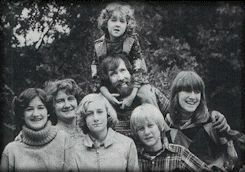 In the years since Jim Henson's untimely death in 1990 the company, headed by his son, Brian Henson and Charles Rivkin, President and COO, have been looking for a permanent home representative of the Henson creative history, love of talent and brand of comedy. The New York offices are located in a historic brownstone where visitors are greeted by a hot air balloon sculpture that soars to the ceiling through a three-story spiral staircase. In London's Camden Town, the offices and Jim Henson's Creature Shop make their home in a vast, converted Victorian warehouse overlooking Regent's Park canal. In 1917, Charlie Chaplin broke ground for his new studio on the five acres at the corner of La Brea Ave. and De Longpre Ave. just south of the mansion previously bought by his brother, Sydney, at La Brea Ave. and Sunset Blvd. The Chaplin Studios opened a year later. There he created some of Hollywood's classic films including, "The Kid,'' "The Gold Rush,'' "Modern Times'' and "The Great Dictator.'' Many famous people visited the studio over the years, among them Winston Churchill, Helen Keller and Harry Lauder and in 1949 it was the site of Greta Garbo's last screen test. After 1953, the Chaplin Studios had various owners who filmed some of television's most renowned series on the three sound stages. Most notably, Kling Studios (1953), who produced the "Superman'' series starring George Reeves, Red Skelton (1959), who utilized the stages for his variety series The Red Skelton Show for CBS-TV and CBS (1961) filmed the Perry Mason series there, during which time Raymond Burr lived on the lot. In 1966 the lot was bought by Herb Alpert and Jerry Moss' A&M Record Company and Tijuana Brass Enterprises, Inc., who converted two of the sound stages and Chaplin's swimming pool into the now famous recording studio. In 1969, the Los Angeles Cultural Heritage Board named the studio a historical cultural monument, which would permanently protect certain buildings from being altered. During the A&M years, the recording studio was used by the music industry's top artists and in 1985 We Are The World was recorded in Studio A. In the year 2000, as The Jim Henson Company takes up shop on the historic lot, a new era in its creative tradition will commence as a continuing tribute to the enduring legacy of Jim Henson, one of the most gifted entertainers the world has ever known. And to both Jim Henson and Charlie Chaplin, who changed the way people looked at entertainment and the world. Les Small and Mike Gottlieb of Entertainment Realty Inc. handled the deal for the Henson family.